Book your discounted Fraser Island 3 day tours here phone 07 4974 7029. Visit the beauty of Fraser Island with passionate guides, getting the max amount of time on this island paradise and see the best of secluded lakes, rainforest, wild dingo’s and so much more that you never thought possible. Discounted prices for Fraser Island 3 day tours help you save while giving you the most for your money! INCLUDES 2 FREE NIGHTS AT PIPPIES BEACHHOUSE IN RAINBOW BEACH!! SAVE $102!! Discounted Pippies Fraser 3 Day Tour! Stay at their permanent campsite on Fraser Island. Hot showers fed by a natural spring, flushing toilets, nightly campfire, stereo & large undercover dining areas with solar lighting. Just a short walk to the cafe, bottle shop or beach with stunning stargazing. Private access to an amazing sand-blow where you can sand-board or toboggan, see fragrelite formed by lightning strikes and view amazing sunsets! Hunt for the Indigenous delicacy ‘the Éugarie’ and take it back to taste on the BBQ. Whats Included: All camping and cooking equipment, Safety and info briefing before departure. Experienced and knowledgable guides to make sure that you have an unforgettable time. All Vehicles have forward facing seats. FREE Luggage storage at Pippies beachhouse. Extras: BYO Alcohol. Optional $10 sleeping bag hire or $13 sleeping bag and pillow. Discounted Dingos Fraser Island 3 day tours! This funky Dingos 3 day 2 night Discounted Fraser Tag-along Camp Tour is with 4 vehicles on a 4WD adventure on Fraser Island. The lead vehicle on Dingo’s Fraser 3 day 2 night is driven by an experienced guide, seats up to 10 passengers while the other 3 vehicles can seat up to 8 people each and are driven by you – the travelers! It’s the perfect choice for groups after their own freedom but still wanting to learn about the famous island and how to handle a four-wheel-drive safely. Solo travelers will be part of the group in no time and meet heaps of new mates! Regardless of which vehicle you travel in, the driving is mixed around, giving you the opportunity to experience the thrill of four-wheel-driving on a sandy beach. This is an excellent discounted backpacker trip with adventure, fun, showing your wild side and seeing the best that Fraser Island has to offer! Dingos Fraser Tag-along with our discounted prices Camp Tour Four Wheel Drive tag-along-tour, is a good 2 nights of socialising and then up early in the morning to head out on your adventure-seeking tour. Extras: (Optional) Sleeping Bag Hire $10. Discounted Frasers on Rainbow Fraser Tour! If you feel like an adventure and want to explore Fraser Island with other like minded travelers, then this is the tour for you. Whether you have never driven a 4×4 before or even if you would just like to relax and be chauffeured around then this tour has something for everyone. EPIC! The Fraser Island Tag-along allows you to have your own 4WD adventure with your mates while having the security and guidance from an experienced lead driver. This safari allows you to experience nature at it’s finest while you camp in your tent under the stars. Also an excellent backpacker trip with adventure, fun, showing your wild side and seeing the best that Fraser Island has to offer! Four wheel drive tag-along-tour, a good 2 nights of partying and then up early in the morning to head out on your adventure-seeking tour. Whats Included: All camping and cooking equipment/utensils, a knowledgeable and experienced trip leader, return ferry to Fraser Island, approximately 10 minutes from Rainbow Beach, afternoon briefing with video about highlights of Fraser Island, information on vehicle and driver safety, all food for 3 days and drinking water facilities, camping fees, ferry vehicle access and national park permits. Extras: $10 sleeping bag hire, $10 optional excess reducer which reduces the amount of liability in the event of an accident, alcohol at own expense. Add 2 nights extra accommodation in Rainbow Beach for just $40 extra! Discounted Cool Dingos Tours! You’ll be flat out sunbathing in beautiful surrounds and exploring the world’s largest sand island with other 18-35s and a Ranger-guide, with a fun night enjoying bistro meals, playing pool and partying in the famous Dingo Bar at Kingfisher Bay. Accommodation Details; Forget fidgety nights with tents and sleeping bags… our comfy Wilderness Lodges promise a wonderful and comfortable rest on Fraser. The modern timber lodges are surrounded by gum trees, bush plants and native birds, so you’ll still get your nature fix. Visit Lake Mckenzie, Eli Creek, Champagne Rock Pools, Central Station Rainforest, Pinnacle Coloured Sands, Indian Head, Maheno Shipwreck, Wanggoolba Creek and visit Pile Valley’s famous Satinay trees, Basin Lake and more! Price from: $510 quad share or $575 Twin share to be booked in multiples of 2. Type: 18’s-35’s ONLY. FUN and SOCIAL! Whats Included: Three day guided Fraser Island adventure, courtesy pick-up and drop-off, return ferry transfers, all meals, all National Park fees and fuel levies. Extras: Upgrade from a quad-share to a private room. Booster seats are available to hire at $20 per infant and must be booked at the time of booking. If you have your own booster seat you are more than welcome to bring it. 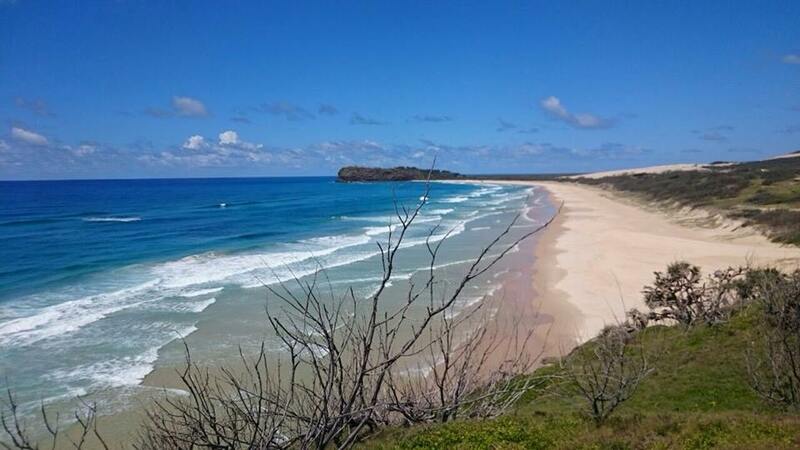 Discounted Nomads Fraser Island 3 day Tour! Nomads 3 day 2 night Nomads Fraser Island self-drive 4WD Tour departing from Noosa with 1 night at Eurong Resort. See all the best places with the best accommodation at one of the best prices! Extras: Mandatory $10 excess reduction fee (non-refundable) OR $250 per person fully-refundable cash bond to be collected in Rainbow Beach on the way to the Island. The bond will be fully refunded provided the vehicle has been returned in good condition. Please ensure you have $250 in cash as there is no ATM available at Rainbow Beach. Optional – $10 sleeping bag hire per person per trip payable in cash on arrival. Add 2 nights extra accommodation in Noosa for just $20! One of the few Fraser Island tour company to offer self-drive 4WD tours that feature experienced local guides, excellent food and entertainment at an all-inclusive price. For added convenience, we can adjust the Fraser Island tour to suit you, with departures from Noosa and Rainbow Beach. They can drop you off at a different location from the one you started in. Whats Included: Off road 4WD experience with minimum risk, under 21s (over 18) can drive our 4WDs, driving is optional – drive or be driven if you prefer, experienced Drop Bear guide, beach camp retreat accommodation, hot showers and flushing toilets, pillows, sheets and sleeping bags, pasta free menu, freshly sourced local ingredients, collecting and tasting Wongs – Aboriginal delicacy, catching worms for fishing bait, fishing rods available, didgeridoo lessons, sunset Boomerang sessions, guitar available, giant Jenga, playing cards and many more beach games, all group photos uploaded to Facebook. Add 2 nights extra accommodation in Rainbow Beach for just $45!